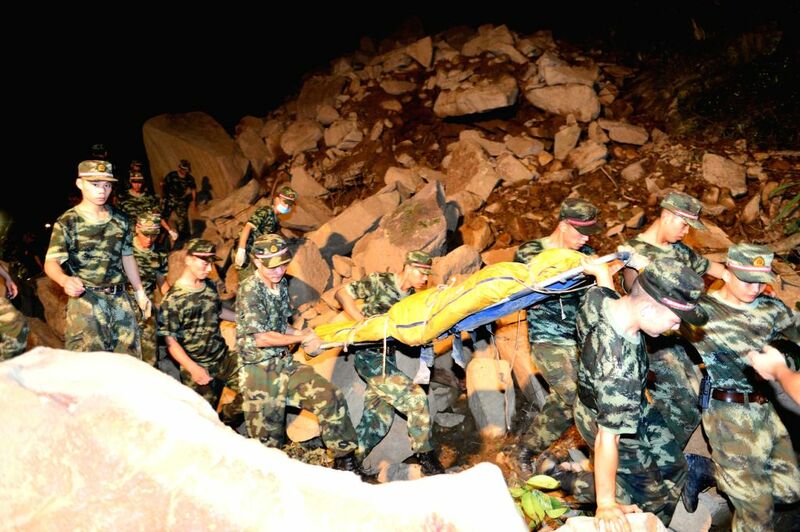 CHONGQING, Sept. 4, 2014 - Rescuers transfer the body of a victim after a rainstorm-triggered landslide hit Yongfa Coal Mine in Jiangkou Township of Yunyang County, southwest China's Chongqing Municipality, Sept. 3, 2014. All 11 miners buried in the landslide are confirmed dead as the last body was retrieved on Wednesday night. They were moving from their dormitories to a safe area early Monday when the landslide took place.